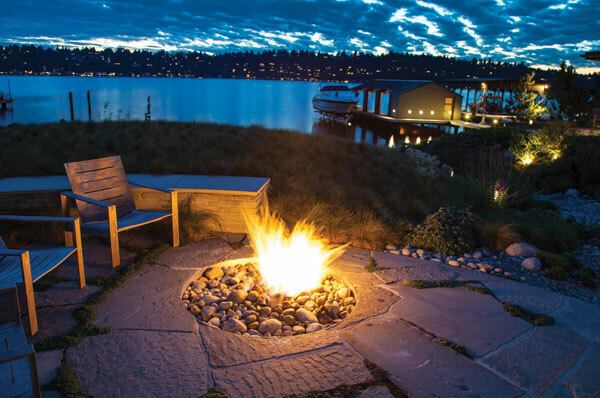 A conventional Kirkland backyard becomes a natural wonderland. 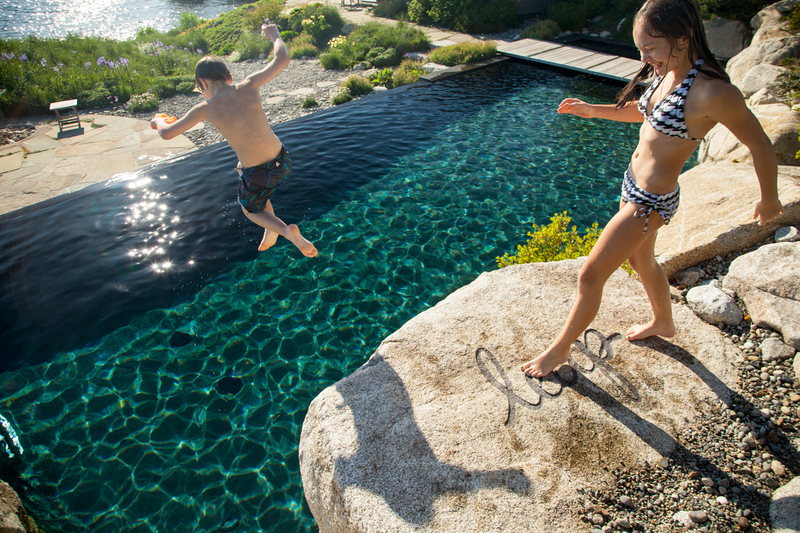 The striking negative-edge pool empties into a wading pool and recirculates, and features a leaping-off spot that is much loved by the homeowners’ grandchildren Tilden and Kalindi (pictured). Broadhurst inscribed the words “Look before you leap” on four of the hand-selected boulders, culled from a private quarry in Mount Index and transported by barge via Lake Union. The mod wooden bridge (with stainless steel crosspieces of various thicknesses) leads to the guesthouse. 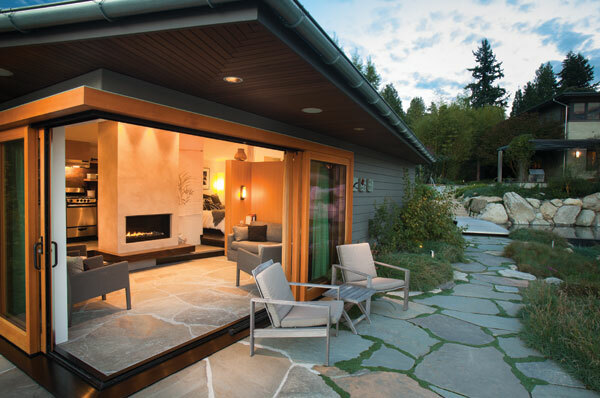 The new beach house boasts the same Pennsylvania Bluestone in the patio and walkways, as well as push-aside glass walls that let light inside. 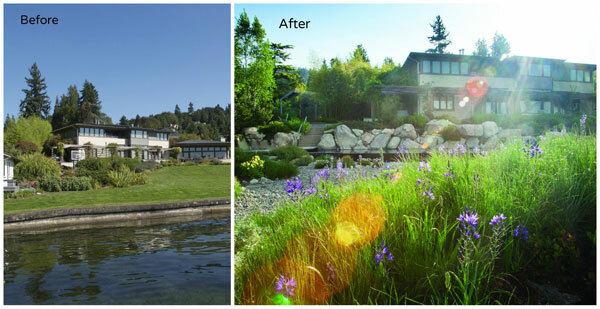 Where there once was just a blank canvas of green grass leading to the lake, the main house now overlooks a variegated landscape of stone, water and flora. 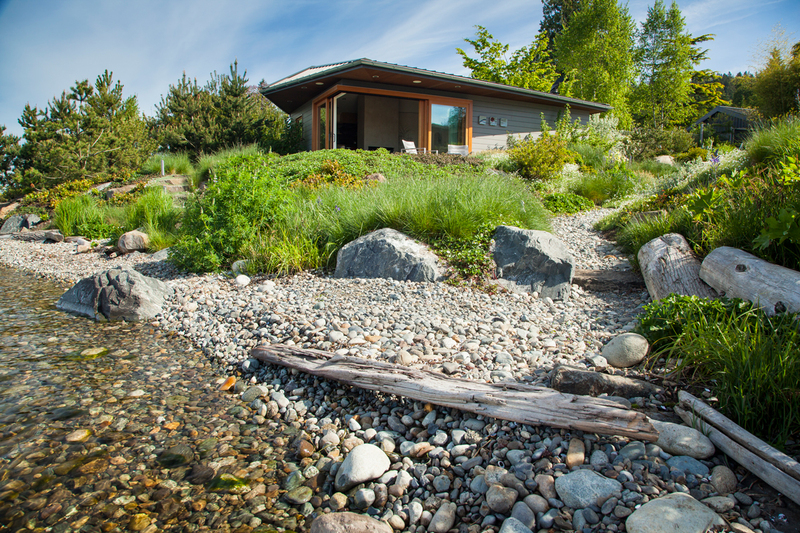 As well as slightly relocating the guesthouse, Broadhurst created a brand-new stretch of shoreline, complete with stones and driftwood .